Many of you have asked for resources and articles so that you can continue your own thinking and start wading through your own research. I recommend starting a three-ring notebook or folder. Print off or copy articles as you find them (making sure you have the source noted so you can direct someone else to find it… or re-access it). You may want to make a section for each vaccine, with an extra section for vaccines in general. The following is a brief reading list (think of them as “Consumer Reports” for your “Tools“). I’ve divided them into pro-vaccine and cautionary vaccine categories for ease of reference, however, I actually would recommend reading both a pro-vaccine and a cautionary book side by side. Start off reading the introductions to get a big-picture overview of the author’s view and bottom-line assumptions. Then, I usually read a chapter from one perspective, then about that same vaccine from another perspective, so you can compare the two; try and fill in any gaps or see if the “other side” can explain the accusations of the other. If you are pressed on time and don’t want to tackle the CDC schedule as a whole, you may want to target one vaccine (perhaps the next one “up” for your child) and read as many perspectives on it as you can. The Institute of Vaccine Safety Vaccine Package Inserts– Keep this handy for reference when you want ingredients and side-effects in each vaccine, etc. 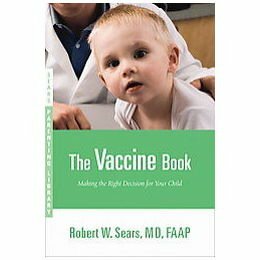 The Vaccine Book: Making the Right Decision for Your Child (Sears Parenting Library) by Dr. Bob Sears (though he has an alternative schedule, he is fundamentally FOR vaccines; his goal is to provide a schedule so all parents feel comfortable fully vaccinating their children). This book is a great place to start looking at ingredients. Dr. Sears’ main concern is the adjuvants (ingredients added to the disease-causing medium, especially aluminum. His alternative vaccination schedule spaces vaccines containing similar ingredients out to allow the body time to filter toxins out. However, he never once questions the efficacy of vaccines, and assumes that combination shots are less toxic due to their lower adjuvant content, instead of being concerned about the tax of simultaneous immune reactions. Vaccinated: One Man’s Quest to Defeat the World’s Deadliest Diseases by Dr. Paul Offit. This is essentially a biography of Maurice Hilleman, the man who made many of the vaccines still used today. It is always helpful to understand why someone did what they did, and this gives a lot of insights into Hilleman’s world view, assumptions, and motivations. I found it revealing that he turned away from the strict Christian views of his family and embraced science as a better alternative, idolizing Charles Darwin and believing that vaccines were one more step in man’s evolution. Vaccines: What Every Parent Should Know by Dr. Paul Offit & Louis M. Bell. Paul Offit is today’s most outspoken vaccine advocate, challenging even Dr. Sears’ schedule. He has many books on the subject (including The Cutter Incident, and Autism’s False Prophets, neither of which I have yet read). Please try not to let its oversimplified tone insult your intelligence so much that you throw it away after one chapter; it is very revealing. The opening story contrasts two children; one whose parent refused a vaccine, and one who sought it out. The unvaccinated child later caught the disease with great discomfort. The vaccinated child suffered only a sore arm for a day or so. End of story. Ah, if only it were that simple! If only we could choose a vaccine over a disease, instead of having to weigh partial vaccine immunity, possible short & long-term side effects, and multiple-drug interactions (CDC vaccine schedule) against natural immunity, immune-boosting nutrition, and the possible benefits and/or risks of a wild disease! Another revealing (and either twisted or insulting) aspect is Offit’s description of the wonderful, life-saving idea of removing all potential legal responsibility for vaccine side-effects from vaccine manufacturers and placing that instead on the government (i.e. taxpayers), leaving them “free” to continue to manufacture vaccines without fear…or responsibility for their products’ safety records. There is little by way of footnotes; this is written to soothe the fears of scared parents, not to encourage them to research more. Needless to say, I was not impressed. CDC Vaccine Guide – This will provide you with up-to-date official recommendations et al. “A User-Friendly Vaccination Schedule” by Dr. Donald W. Miller, Jr. (cardiac surgeon). Dr. Miller points out the lack of any randomized controlled study where vaccines are concerned as a whole, again raising concern for the aggressive schedule which gives a child’s brain no time to heal between attacks. He describes the difference in fetal/infant and adult immune responses and explains how vaccines can disrupt the transition from one to another. “The Danger of Excessive Vaccination During Brain Development” by Dr. Russel L. Blaylock (now-retired neurosurgeon). This article challenges the CDC schedule as a whole, examining the dangers repeated, frequent, powerful immunizations pose to a developing brain. An excellent starting point for your thought process. To date, I have never found any answer to this criticism of today’s vaccination campaigns at all. Many articles try to disprove a link between autism and a particular vaccine, but never do they address vaccines as the package deal most parents are expected to take. 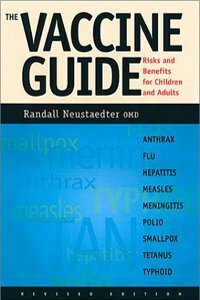 The Vaccine Guide: Risks and Benefits for Children and Adults by Randall Neustaedter. This is my favorite book on the topic, largely because of the first chapter. He starts off with a great big-picture overview of vaccines and how they fit into modern medicine and the allopathic way of treating the body. I feel that, of all the books I’ve read so far, he provides the most calm overview of vaccines without assigning or assuming evil motives on the part of vaccine developers. He gives a variety of strategies for dealing with each vaccine-treatable-disease (ex. either vaccinate at X age, or use this brand or vaccine instead, or treat the actual disease in this way, or in an emergency get this emergency version of the vaccine). The Virus and the Vaccine: Contaminated Vaccine, Deadly Cancers, and Government Neglect by Debbie Bookchin & Jim Schumacher. This addresses the topic of SV-40, the virus that contaminated many doses of early polio vaccines. Make an Informed Vaccine Decision for the Health of Your Child: A Parent’s Guide to Childhood Shots by Dr. Mayer Eisenstein. Another heavily-footnoted book, Dr. Eisenstein (a Medical Doctor as well as a Master of Public Health & Doctor of Law) tackles each vaccine individually, taking a question-and-answer format. He has additional chapters on multiple vaccines, aluminum, autism & social obligation. Generation Rescue’s website– this website is a the product of a group of parents, scientists, and physicians dedicated to helping parents treat and help their children with autism, ADHD and other chronic illnesses. Many articles on the science page relate to vaccines, and the pages relating directly to vaccines have many suggestions for vaccine options. As you read these books, look up the footnotes for scholarly articles and studies. Many are available online– try typing the title and author into Google Scholar and see what you can come up with. If you live near a college or university you may also be able to use their scholarly journal database. Print out anything you can so you have it on hand! One last note regarding comparing information: when you come to information that seems at odds, pay close attention to the scale of the graph and what it is showing. Take for example these two takes on vaccination’s effects on polio: in this article, Neil Miller uses a graph of polio deaths per year (Figure 4, page 4) to show that polio was already declining prior to the introduction of the vaccine. This website, entitled “Vaccines Are Incredibly Effective At Preventing Disease“, shows a similar graph to show the opposite. Who is right? All right. You’ve got your basic Foundations, you’ve seen the Blueprints, you have the Tools, and now you have some Consumer Reports to read through. You know that you are responsible for your child, but that ultimately, the Lord ordains and protects. You’re ready (or at least, as ready as you’ll ever be =D). GO! Do you have any resources that you would add to this list? I’ve had my daughter vaccinated when she was young. Now that I am more aware of what’s going on, what THEIR agenda is, why they pressure us to get our kids vaccinated, I have been praying for more discernment as well as wisdom on this issue. We may not get her vaccinated in the future but I have no idea what it all entails. It’s scary because we will be the “weird” one. What Your Doctor May Not Tell You About Children’s Vaccinations–Stephanie Cave, M.D. This is a HOT debate and extremely difficult for so many. For parents that are trying to make this decision, I say turn to God. HE is the only one that can help you make the best choice. He knows your health, your fears, your faith and your unique person as a whole. After much prayer, thought, studying and asking questions, I made a decision with confirmation from Heavenly Father that it is right for my kids. Since then, I continue to ask for and recieve confirmation especially when I get pressured by media, schools, or others. I believe with all my heart I made the best choice for my kids and for following the promptings of God, my children will be protected. I am Pro Information. The vaccine debate is so much about keeping our freedoms to choose for ourselves. We all have our own reasons or fears for either side, I would hate to be the one that was forced to do something that created a life changing reaction for my family. My kids, now ages 10 & 13, had all (so I thought) immunizations when they were younger, because I didn’t think to question the practice. Now that I have discovered Weston A Price, real food, and no longer believe that the medical field has all the information, I am not so sure that we should have given them all the vaccinations. I believe our bodies are well equipped, if given the proper nutrients, and drugs should be a last resort. I thought that we were done with all the required vaccinations, but I was wrong. I just received a letter from my daughter’s school in regards to the Tdap vaccination that is mandatory for grades 7th through 12th. We must provide documentation that she has been vaccinated before she enters High School in the Fall. I don’t want her to have the vaccination, but I’m unsure of what will happen if we don’t, since it is required. What state are you in? Most have vaccine exemptions available. Actually, ALL states have exemptions. All allow medical (nearly impossible to find a doc willing to sign anything saying a vaccine caused serious problems and is unsafe, though), most allow religious, and many also allow philosophical. West Virginia and Mississippi are the only states that only allow medical exemptions – and I have heard of a few success stories there. The others moved or went across the border for schooling for the children b/c they were so adamantly opposed to vaccines. Religious can be ANY religion (including “Noah’s religion” b/c we are in America – land of the free! ;)), and, obviously, philosophical is the easiest to deal with because it’s your own, personal philosophy. It’s SO SAD everyone isn’t fully aware of the fact that it is our CHOICE as parents not the governments over whether or not our children are vaccinated, but that’s their goal. Even forms sent home from the vast majority of counties/parishes/schools say nothing about exemptions, only about the vaccines, which is wrong! They’re supposed to include the info on exemptions, too. @Sally, @Sally, not sure what state you are in, but you can sign an exemption form in my State (CA). They do not advertise exemptions. They say the vaccine is REQUIRED and you must provide proof, but these letters leave out the fact that you can sign an exemption form in lieu of proof of vaccination. There should be en exemption form located on the back of the vaccine records that the school keeps. You can sign there. If your school doesn’t have the exemption forms, you can find one online and sign it and bring it to the school in our state and many others. @Sally, I am pretty curious about this as well. My husband and I do not have kids yet so I am trying to learn as much as possible. We have been Paleo for over two years and plan to raise our kids this way. I’m starting to think that if my kids are raised eating real food, getting lots of fermented foods as well that there might not be any use to subjecting them to vaccines. Have you heard of any families doing this? If your child is exposed to other children that can carry a disease and are not vaccinated against it your child can get sick…yes our bodies work to kill certain bacterias and viruses but others use our bodies defense system against us… Our son was 4 years old when he contracted Meningococcal Meningitis. He was not vaccinated against it…even children that are fully vaccinated are not vaccinated against it at least not until they go into Middle School now but College is when they used to do it he was 4! He almost died, lost his legs because of it, his kidney function, and part of his hearing. Given the opportunity to prevent this would you still not vaccinate? I would really like to know…I have a biased opinion I know…but he was a perfectly healthy child up until that day he got sick. Laura, I am sorry you have had to go through that. I think ANY parent would do what they could to prevent something like that. But with that said, there are clearly risks with vaccinating as well as not vaccinating. Each parent has to consider the Health of each child individually, living conditions, family history, as well as a few other factors that can play a part in the risk. Vaccines are not 100% safe and without risk, nor are they 100% effective for everyone, if they were, we wouldn’t be discussing this and there wouldn’t be children that have reactions, sometimes fatal. I personally see it this way….I can intentionally inject a pharmacutical into my child on a regular basis and HOPE that something bad won’t happen, or I can feed them the best I know how, pray for health, teach them hygiene, and chances are pretty small that they will contract a disease. If they do, I pray that my efforts in keeping them healthy will pay off. Either way, we as parents are hoping for No bad reaction to vaccine or hoping to not come in contact with a disease…we have to weigh the risks of which is more likely to happen for every individual situation which is something the drug companies don’t care about. Thank you so much for this series of posts. It has released me from my chronic fear of researching vaccinations for myself, and looking at both sides of the story. I come from a very anti-vaccine family, while my husband comes from a very pro-vaccine family. It’s been hard coming to a compromise, and I think my husband ended up giving in and saying we could stop the vaccines because I’d become such an emotional wreak after my first daughter would be vaccinated. She’s only had her first 3 or 4 lots of CDC regulated shots, and since that had none. Our 7 month old is completely unvaxed. Due to your posts, I am now looking forward to doing some research into vaccinations for myself, looking at both sides of the story, and trying to stay calm! My fear has no place here, and knowledge really is needed so that my girls can have the best start in life I can give. Thank you, thank you, thank you! @Cheryn, I think you point out something that a lot of people overlook–fear plays a big role in BOTH sides of the vaccine debate. I usually hear people say it’s the reason parents vaccinate, but I think it can also be the reason parents don’t vaccinate (because they’re afraid of potential side effects, additives, etc.). On the flip side, God is able both to protect children from “wild” diseases and to protect them from bad side-effects of vaccines. If parents acknowledge these truths, they’ll be better able to think (and pray) clearly about vaccinations and discern and follow God’s leading for their family. Viruses, Plagues, and History, by Michael B. A. Oldstone. Not exactly about the vaccines, but about some of the illnesses they are trying to prevent. He is pro-vaccine. I’m really struggling with this. All my kids (11, 8 and 5) have been vaxed on schedule. But my 5-y/o is due for 2 vax and has an appt next week and I really don’t know where to begin figuring out if I want to go through it. These articles have been helpful but I still feel like I’m under the gun here and don’t have long enough to research this fully. Can anyone point me to a source for looking up pros and cons of MMR and varicella? I don’t have time to read books and I’m not sure where else to start finding reliable info. Meanwhile I’ll go back to that other post with the list of questions. That was really helpful. Don’t feel rushed honey, wait until you feel comfortable and feel like you know. Cancel your appointment (they can’t make you go), and if you need to fill out an exemption maybe for Kindergarten (you said you had a 5 yr old?) Just fill out the exemption and wait. That way you have time to not only do the research, but be confident and comfortable in your decision. This is pretty much exactly what I would recommend. Even if school enrollment is bearing down on you, you have 30 days from the time you are told to get your child’s shots updated to either file for an exemption or begin getting vaccinated. In the mean time, do NOT rush! Pick a vaccine– the one coming up soonest– and start researching. Make your decision on that one, then move on to the next. If you take a week or two per vaccine you’ll work through them all! Press on! You CAN do this! OH!! Forgot to say this, but varicella (chicken pox) is NOT a required vaccine for most states or schools. My children who are 7, 5, & 3 have been vaccinated up to this point, but a few months ago I decided not to vaccinate anymore. I had been considering stopping vaccinations, but I really hadn’t come to a complete decision until a few months ago. I had refused any vaccines for non-lethal diseases like chicken pox, but I had allowed the others. A few months ago I had a conversation with a friend and she said that she had looked up the ingredients and that aborted fetal tissue was one of the ingredients. It had never occurred to me before to look up the ingredients. I have no idea why — I look up the ingredients for everything else. Anyway, so I did look up the ingredients. My friend was right. In addition to aborted fetal tissue (listed as human albumin), there were several other alarming ingredients. The CDC has a list of vaccine excipients which can be found at this link on their website: http://www.cdc.gov/vaccines/pubs/pinkbook/downloads/appendices/b/excipient-table-1.pdf. We will be using good nutrition and possibly homeopathic immunization through homeoprophylaxis (http://organiclifelove.com/2011/03/22/a-safe-alternative-to-vaccines-homeopathic-immunization/). Can I ask if you found any research/data that specifically stated this? I’m having trouble coming up with info on the use of fetal tissue. Human Albumin comes from many sources. The ingredient to watch for that means “aborted fetal tissue” is “human diploid tissue culture.” If you scroll down the table Stephanie linked to, you’ll see that two cell culture lines are listed: WI-38 and MRC-5. Actually there are several that contain aborted fetal tissue. As Christians, we are just unable to take part in this. HELP! 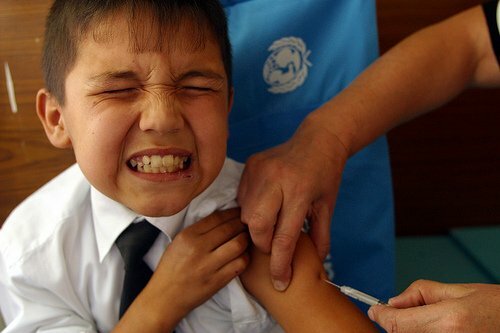 my son is two and a half and has never had any vaccinations and i had planned on keeping it that way, at least while he is so young… but now we are planning on spending a couple of months this coming winter in Guatemala and i’m really concerned about whether or not to get him vaccinated. please if you have any advice on vaccinations and traveling out of country it would be greatly appreciated! i’m not sure where to start and i feel very torn on which risk to take. Of course, vaccines are always a calculated risk, just as much as risking getting the disease is! 1. we’ve never been exposed to these diseases, so do we have any natural resistance to it? PS- if you do decide to get one or more travel vaccines, there is always the possibility of spacing them out– getting them one at a time and waiting a month at least between each shot.